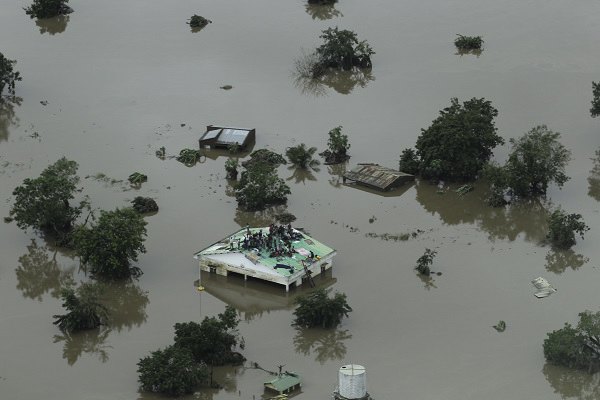 Mozambique (MNN) – The death toll continues to rise in Mozambique following the tropical Cyclone Idai, which made landfall in the evening of March 14 and continued into the morning of March 15. In Mozambique, over 400 people have lost their lives to Cyclone Idai. Between Mozambique, Zimbabwe, and Malawi, that number has reached more than 750. Mission Aviation Fellowship, operating as Ambassador Aviation in Mozambique, is a first responder in the country. MAF’s Global Disaster Response Manager John Woodberry says the cyclone has brought more devastation than what was initially expected. 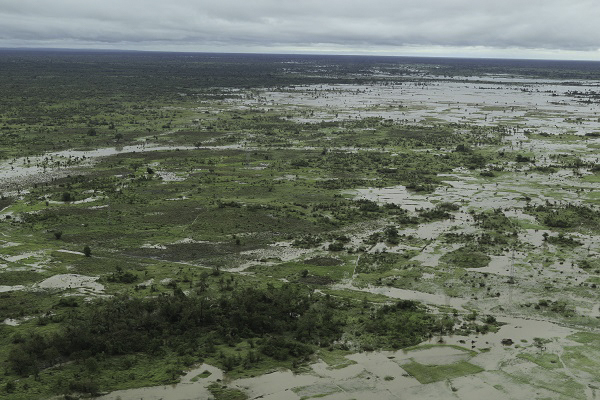 Since cyclone Idai hit, MAF has been working with the National Disaster Management Institute of Mozambique to do aerial assessment, identify the extent of the disaster, identify the greatest needs, and gather critical information regarding how and where to respond. Since it is the responsibility of Mozambique’s government to respond to the disaster, MAF is working with them and other non-profits to provide help. One of the challenges MAF faces during its relief efforts is isolation. People are stranded and hard to reach. “We are finding people on tufts of ground, roofs of houses, wherever there was land. Animals, snakes, people all would get into the tree or the little tuft of land, and using food provided by the World Food Program, we started dropping food at different places. But we’re a part of a larger response now and we’re blessed to be able to serve and help those suffering in Mozambique,” Woodberry says. Rick Emenaker, a MAF pilot responding to the disaster in Mozambique, has seen first-hand the destruction from Cyclone Idai during survey flights to photograph the damage and determine where to provide rescue efforts. “We saw many people on rooftops and others clinging to trees. The floodwaters had completely submerged homes. These photos really opened the eyes of the world to what’s going on,” Emenaker says. MAF has partnered with Mercy Air, Food for the Hungry, Samaritan’s Purse, and others to respond to the crisis. Aircraft can deliver supplies, such as tents, food, and medical equipment, but Woodberry says helicopters and boats are needed to get to where people are affected. Through Mercy Air, MAF is using a helicopter to meet needs. MAF is also using its Cessna Caravan—a ten passenger aircraft—for survey flights and as an air-bridge for people. They’re also bringing tents to Beira, which is surrounded by floodwaters. BBC News footage from a survey flight shows extreme flooding in Mozambique. 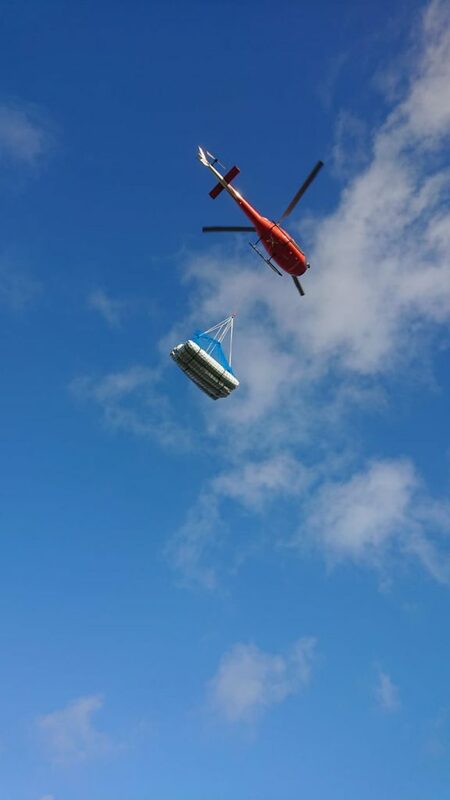 “We’ve been partnering with the helicopter operator for some of the food drops and tent drops. It’ll do a sling load of a bunch of tents and stuff like that. But the water is slowly starting to recede and so we’re hopeful in a week or so some of the roads will open up again, but that remains to be seen,” Woodberry says. Until then, people are packed together in tight quarters, creating a breeding ground for disease and cholera. Per the BBC, reports of cholera in Beira surfaced on Friday and the International Federation of Red Cross and Red Crescent Societies (IFRC) has noted an increase in malaria, too. MAF plans to serve in Mozambique during this disaster until its services are no longer needed. However, the organization relies on donor support to provide help in times of need. Will you give to help MAF “respond and deliver rapid life-saving supplies” and to transport people as needed? To financially support MAF’s response work, click here. “Pray for wisdom, that God would open doors for help to rapidly arrive. You can pray for the people of Mozambique. Whatever challenges we’re having, we really do not have challenges compared to those who’ve lost homes, those who’ve lost family members, those who are hungry. So, you can pray for the suffering, those people, and that doors would be open, that help will come, and the tangible love of Jesus Christ will be shown,” Woodberry asks.